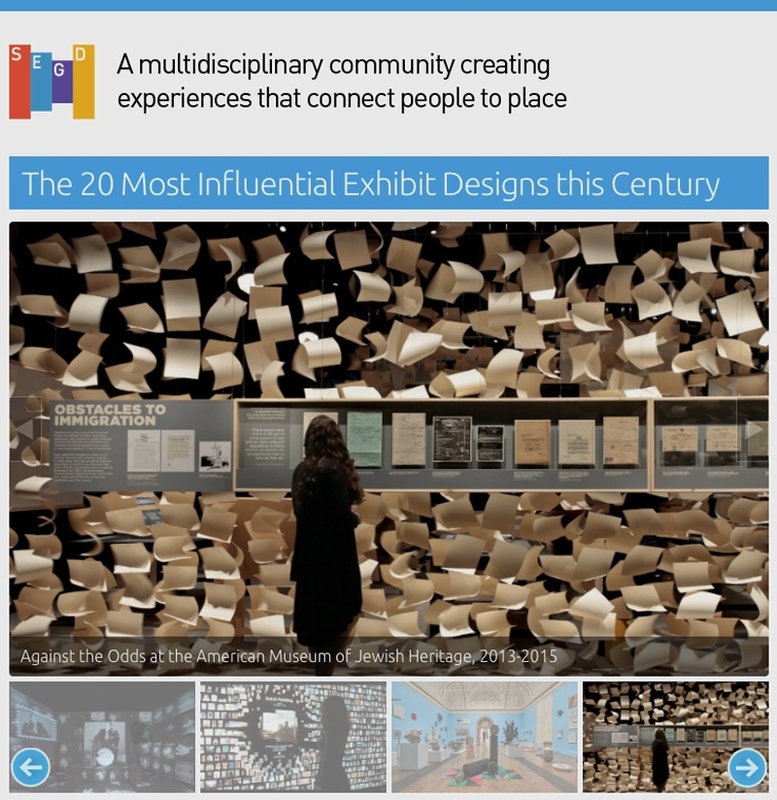 C&G in SEGD's "20 Most Influential Exhibit Designs this Century"
SEGD's list of The 20 Most Influential Exhibit Designs this Century, released today, includes C&G's Against The Odds at The Museum of Jewish Heritage. The article includes projects from the last 16 years that show significant innovation, inspiration and raise the bar for exhibit design. "This thoughtful project encouraged visitors to learn about the lives of refugees and rescuers through various media," the article says about Against the Odds, an exhibit we designed in 2013 that went on to win numerous awards. It is a great privilege to keep company with some of the most talented exhibit designers and renowned venues out there. Read the full article, The 20 Most Influential Exhibit Designs this Century,on SEGD.org.